Secret Club: How Many Of These Secret Sabhas Do You Know? While you check into the legendary and iconic sabhas this Margzahi, don’t forget that there are some lesser-known, or as we like to call it, ‘secret sabhas’ which are easily missed. Here are the secret sabhas you must check out for amazing art and music this Margazhi! The sabha Naada Inbam hosts performances at this cosy hall, hidden away in the streets of Abhiramapuram. It’s right next to Nageshwara Park in Mylapore, and the tall creepers intertwining on the walls and leaves on the empty street will give you Autumn Leaves vibes. The hall as such has nothing fancy - with just the right acoustics and comfy chairs, it feels like home. This hall resembles the mini halls of Narada Gana Sabha and The Music Academy, and hosts a huge number of young and upcoming artistes. If you’re looking to listen to some fresh talent, this hall is the best option. Concerts and dance shows are hosted here by Madhuradhwani. Tattvaloka is every performer’s dream stage. Not only is it huge, it has great acoustics, equipment, and the lighting is perfect. We love that the seats sort of reclines, and give us a movie-popcorn kind of vibe. The hall is located in the hustle and bustle of Eldams Road, but step in and it’s a different world altogether. 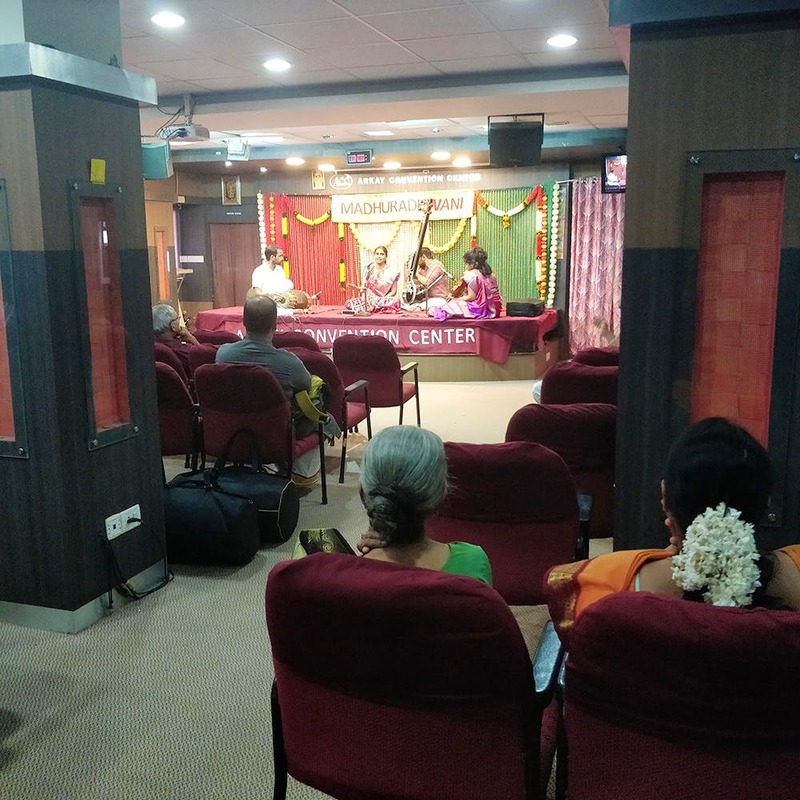 One of the most under-rated sabhas of our time, Indira Ranganathan Trust has simple decor and is really about listening to concerts in an intimate setting. With so many sabhas expanding, this is one sabha which still remains the same and the experience of watching performances is amazing here. Shanthi Arts Foundation & Endowments is probably one of the only sabhas which host performances in an apartment setting. Located in Luz, right near the street markets, where you can hoard up on some budget products, SAFE is a hall which you must visit. Music, dance, drama, experience the best of Chennai’s art in this sabha. We love that it’s tucked into T-Nagar. The venue has a rustic, old-world charm to it and you will love getting into your seat and escaping into Margazhi.